This study analyzed the influence of light polymerization modes on crosslink density (CD) and the degree of conversion (DC) of dental composites. A minifilled hybrid and a nanofilled dental composite were photoactivated with two light polymerization modes: Conventional—850 mW/cm2 for 20 s and Gradual—50 up to 1,000 mW/cm2 for 10 s + 1,000 mW/cm2 for 10 s. DC was determined by the use of FT-Raman-spectrometer. A softening test, using Knoop diamond indentation, was carried out at the top and bottom of 2 mm thick dental composite disks, before and after storage in 100% ethanol for 24 h, in order to represent the amount of crosslink density. Data were analyzed by ANOVA and Student–Newman–Keuls’ multiple range test (α = 0.05). The DC was influenced by light polymerization modes, with Gradual mode presenting lower DC. On bottom surfaces, the nanofilled dental composite was more susceptible to softening by ethanol than minifilled hybrid, and gradual light polymerization of nanofilled dental composite resulted in more softening than when conventional light polymerization was used. 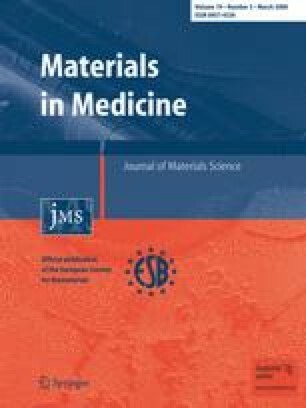 The results suggest that nanofilled composites are capable undergoing more plasticization if applied in thick increments.